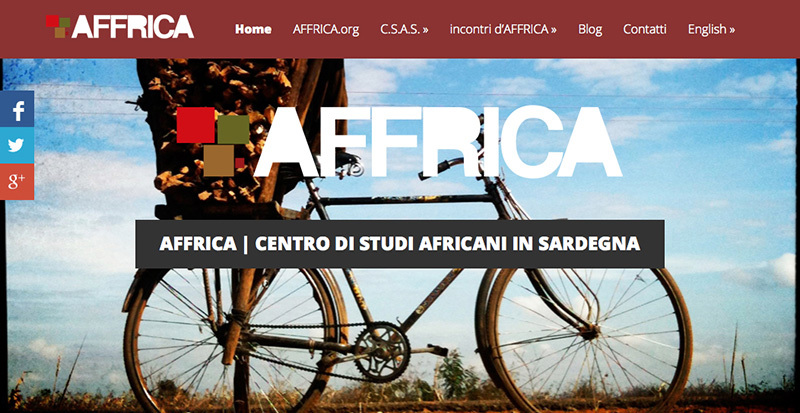 AFFRICA.org is a website, created by members of AFFRICA – Centro di Studi Africani in Sardegna (CSAS), that aims at providing news, in-depth analysis, and curiosities about Africa to the Italian general public, trying to describe the continent from different perspectives. At the same time, AFFRICA.org is also a platform to give visibility to events and activities about Africa, promoted at local, regional and national level, by associations and institutions, including CSAS itself. The website was ideated back in 2010 by Michele Carboni and Marisa Fois, and run by the two of them, together with Annalisa Addis and Marcella Tramatzu. The website was open to occasional collaborations of other members of CSAS, as well as of external people interested in African issues. Since 2014, two more members of CSAS have joined the editorial team of the website: Filippo Petrucci and Isabella Soi.